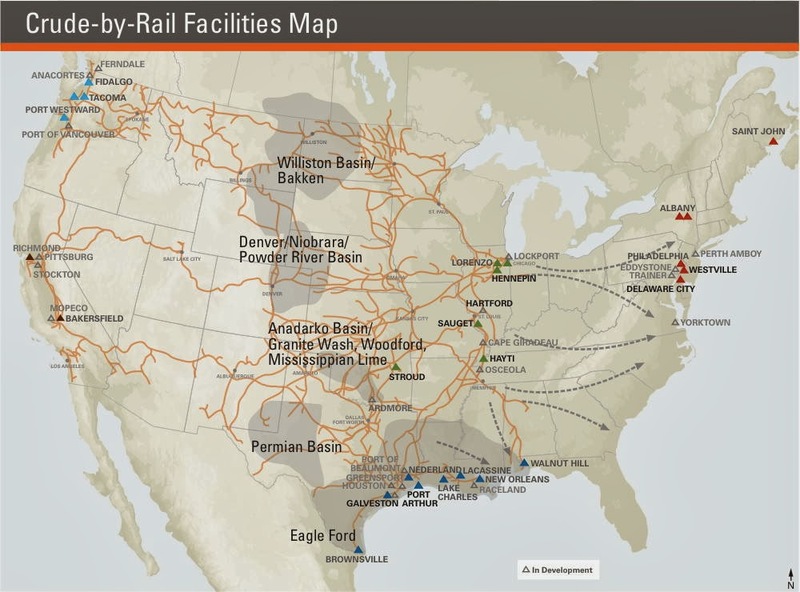 I recently came across this brochure from the railroad company BNSF about all the wonderful crude-by-rail facilities it connects to and how BNSF is doing their small part to destroy the planet. Here are the facilities that BNSF lists as “in development”, including the proposed WesPac project in Pittsburg, CA. This is not a complete list, because there may be others not served by BNSF, and we also know of the proposed crude-by-rail project at Valero’s refinery in Benicia. Originally found on BNSF’s website as a PDF here.